The Donor Wall feature allows you to display donation information publicly on your website when donors opt in. This shortcode can be customized with the Shortcode builder. An example Donor Wall on the San Diego Refugee Tutoring website. Donors appear on the Donor Wall only when they do not opt in to “Anonymous Donations”. 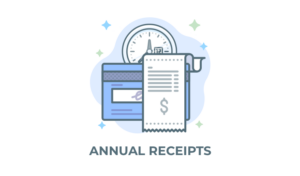 Additionally, enable the donor note functionality for the note to appear in the donor wall. Form = choose for this donor wall to be populated either by “All Forms” or one specific form. “All Forms” is the default. Order = set the order in which the individual donations appear within the donor wall. “Newest to Oldest” is the default. Donors = do you want all donors who opted in to appear in the donor wall, or only those who added a “Donor Comment”? Donors Per Page = A “Load More” button will appear at the bottom of the donor wall after this limit has been reached. Default is 12. Comment Length = How long should the comment be before a “read more” link appears in the individual donation. Default is 140. Read More Text = change the text that appears when a comment is longer than the “Comment Length” setting. Load More Text = change the text that appears below the donor wall to show more donors. Columns = Set the number of columns that the donations will appear. “Best fit” is designed to fit in virtually any available width and it most often the best option. Donor Avatar = choose whether an “avatar” will appear for the donor or not. Avatars only appear if the donor has a Gravatar account (the WordPress default behavior). If donors do not have a Gravatar account, the initials of their first and last name will appear in a circle as a fall back. See the example image above. “Show” is the default. Donor Name = choose whether or not the donor’s name appears in this donor wall. “Show” is the default. Donation Total = choose whether or not the amount donated will appear in the donor wall per donation. “Show” is the default. Donation Date = choose whether or not the date the donation was given is displayed in the donor wall per donation. Donor Comment = choose whether or not the donor comment is displayed in the donor wall per donation. “Show” is the default. Additionally, the attribute anonymous is available to add manually. Setting this to false excludes Anonymous donations from appearing in the Donor Wall. Setting it to true shows the donations, but the name will appear as “Anonymous” instead of the donor name. The [give_donor_wall]markup can be customized in a similar fashion to any of the other shortcodes. Simply copy the shortcode-donor-wall.php file from the Give plugin and place it in your theme in a sub-directory called give. 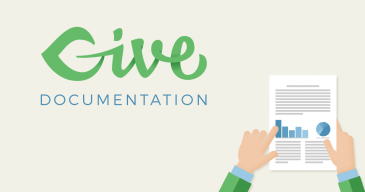 See our docs on “Theming with Give” for more details.